1Password: the password manager that's as beautiful and simple as it is secure. Just add your passwords and let 1Password do the rest. Sign in to websites and apps with just a few taps, and use the password generator to change your passwords and make them stronger. Named a **Best New App of 2018** by Fast Company! Try 1Password free for 30 days, then keep going with a 1Password subscription*. 1Password for iOS has full support for team and family accounts. It’s never been so easy to share the simple security of 1Password with those you work and live with. Get a 30-day free trial when you install 1Password, and subscribe at any time using the in-app purchase*. Your subscription includes the full 1Password experience for all your computers and mobile devices. Your data syncs securely and automatically between your devices, and can also be accessed on the web. We love 1Password and strive to make it the best it can be. Connect with us with us at support@1password.com, @1Password on Twitter, and Facebook.com/1Password! * 1Password.com is a monthly service that costs $3.99 for individuals or $6.99 for a family of 5 (prices vary by region). Payment will be charged to iTunes Account at confirmation of purchase and auto-renews at the same price unless disabled in iTunes Account Settings at least 24 hours before the end of the current period. Your subscription can be managed in your iTunes Account Settings. Any unused portion of a free trial period, if offered, will be forfeited when you purchase a subscription. Good day, friends! Today’s update is all about bringing a little more feature parity between 1Password for Mac and 1Password for iOS. Starting today you’ll be able to access (and empty) the trash as well as organize your items better using nested tags. We’ve also added a whole new collection of stickers to our sticker pack, just for fun. If you ever take the time to look back through the myriad release notes from 1Password updates of the past you’ll start to see a theme: us thanking you for your input and for helping us make 1Password better. This isn’t a throwaway line, it’s a guiding principle we use as we tackle new features, improvements, and bug fixes. The addition of trash in 1Password for iOS is the latest example of your feedback directly driving a change. Trash has been a feature that’s been baked into 1Password for quite some time. Up until recently, though, we haven’t distinguished between deleting an item and sending it to the trash. Starting today you can move items to the trash, bring them back, or get rid of them for good by emptying the trash. Thank you to everyone who got in touch and let us know this feature was important to them. We really appreciate it. When 1Password 7 for Mac was released last year we added a cool upgrade to our tags feature: nested tags. We’ve now brought full support for nested tags to iOS. Nested tags allow you to up your organization: simply type a forward slash (/) when entering a tag to break it up into nested groups. Typing A/B/C will give you tag C inside B, and B inside A. One of the great things about working at 1Password is getting to work alongside incredibly talented, creative folks every day. One of the great things about talented, creative folks is that they love to, well, create! When our design team came to the developers and said, “We've got a whole bunch of new stickers for our sticker app” we were more than happy to oblige. Fire up Messages and check out all the new characters. Invite your friends to play a game with the gamer emoji. Tell them you’re headed to the movies with the movie-goer emoji. Let them know you’re in the mood for ice cream with the double twisty cone emoji. Who says security can’t be fun? - Additional stickers have been added to the 1Password sticker collection! - Titles for new items are now capitalized by default. (Finally!). - Fixed a crash that could occur when adding an item within Password AutoFill. If you need us you can find us at @1Password on Twitter. If you have questions or need support just pop on over to support.1password.com and we'll point you in the right direction. Coming up with unique passwords for the sites you visit has never been more important, but remembering them all can sometimes feel impossible. 1Password’s strength is in its simplicity: with a single master password you can secure dozens of website logins, credit card details, Wi-Fi passwords, and much more. It’s a snap to use, but offers deep levels of customization that have made it an indispensable tool for casual web surfers and power users alike. A safe haven for your passwords, account information, or just any valuable information for that matter. Accessed with one master password only YOU know and can remember easily, you’ll have an overview of ALL your inputed accounts or information with their respective passwords, PIN numbers, and security questions with answers. One of the great features of 1Password is that it can generate passwords for you if you so choose. You can set it up to where you can have 25 characters total with numbers and uppercase letters thrown into the mix (25 not being the max but you get the idea!) Absolutely a MUST have app for your phone if you have multiple online accounts. You ever sit there trying to get on an account you haven’t signed to in a while and you go through papers or whatever method you use to keep track of your passwords trying to desperately remember? Well look no further 1Password is here and all you got to do is open the app, type in the master password or use FaceID/TouchID, and boom! Tap on that password for the account you were just trying to access - COPY then bam! Paste that into the type bar and you’re good to go. No big deal, forget about it! Hope this review helps and honestly it really does give you peace of mind knowing you can create the most secure password with the most characters used, forget it, then simply access the app and there you have it just ready to be copied and pasted. 1Password is everything I've been looking for in a manager app, just wish I found it sooner. Used Dashlane first since 2014, which I mostly liked, but after raising their prices and a series of constant glitches with their Safari extension, I was on the lookout for something new. Tried LastPass first and wow was that a mistake. Ugliest, most worthless GUI I've used in the last 5 years at least. Safari extension worked 10% of the time and not well when it did. Terrible web app integration, horrible Mac OS interface. Nothing worked correctly, nothing made sense. Everything felt beta at best. Didn't even have password fill option with iOS Safari. 1Password eliminates every single issue I had with both Dashlane and LastPass. Perfectly functioning Safari extension, awesome Mac OS interface and iOS app is amazing. This is a power user option, so many options, so many fields for data. The interface across all apps for all systems is flawless, nothing buggy, nothing slow. The ability to not show the password in the fields online until you do a key shortcut is brilliant. No more glitchy icons in the password fields that you have to click first and wait to work. The integration with the password fill in iOS Safari is perfect, works exactly as it should, simple and easy. Never going back to the others and no need to try anything new, I'm here to stay. 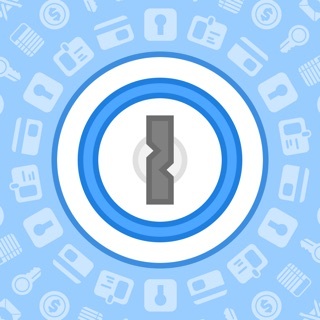 Get everything 1Password has to offer.